With so many dog food brands on the market, it can be challenging to find a suitable one that will be best for your Shih Tzu. 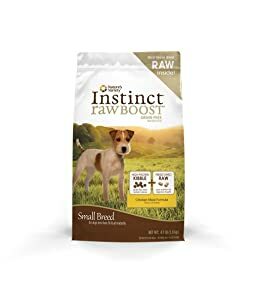 There are certain dog food brands that are specially made for specific dog breeds and more generic ones that you might still want to consider nonetheless. In this article, we’ll walk you through the various options for the best dog food for your Shih Tzu. 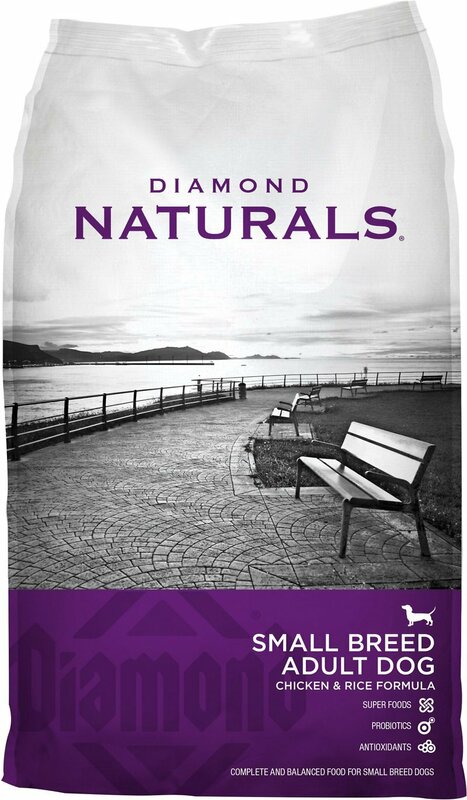 This dry dog food is part of the Diamond Naturals line of pet food, and is specially made for small breed adult dogs. It is available in a 6 pound bag or an 18 pound bag. You can also choose between two flavors: chicken & rice and lamb & rice. This dog food is epically formulated to meet the nutritional needs of your pet and meets the AAFCO Dog Food Nutrient Profiles standards. 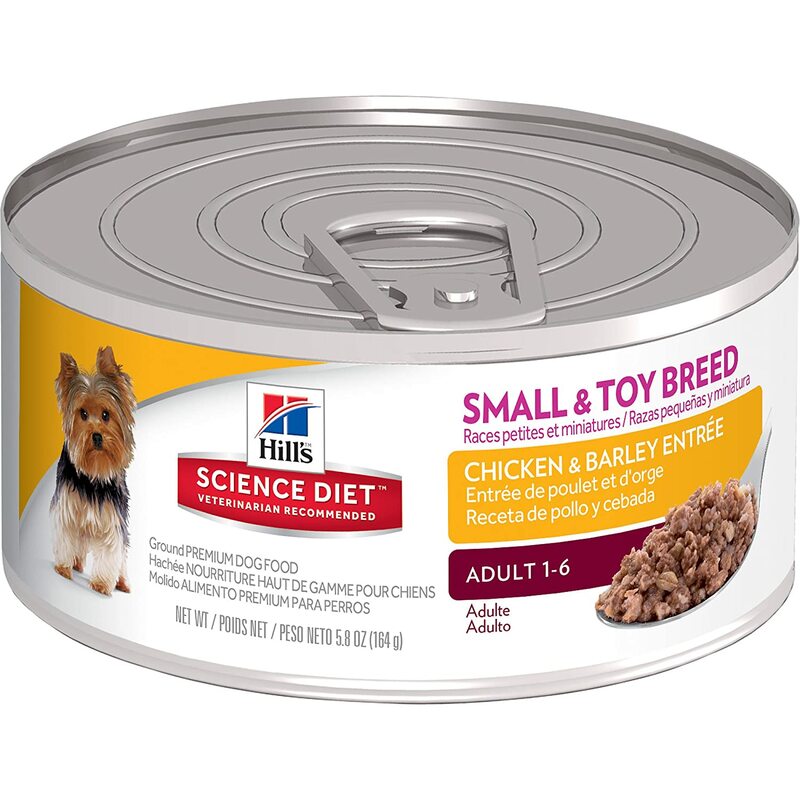 Features and Benefits: This USA-made dry dog food comes in small kibbles, which are so much easier for small dog breeds like Shih Tzus to chew. Not only that, it also has plaque reducing and teeth cleaning properties. Its nutritional content made from 27% protein, 16% fat and other superfoods makes sure your dog can have an active and healthy lifestyle. This dog food can also be a source of live and naturally occurring microorganisms. This dry dog food uses only whole meat for its formulation. Whole meat is easier to digest for dogs, which means that your Shih Tzu can retain more protein and use it up for its activities. You can trust that this product has your pet’s nutritional needs in mind. You can choose between 4 and 10 pound bags and from two flavors: Turkey Duck & Pheasant, and Wholesome Chicken. Features and Benefits: Halo’s foods are meat meal-free and are of butcher quality, and are mixed with whole eggs, as well as fresh fruits and vegetables. The ingredients are easily recognizable, and are made from real turkey, pheasant, duck, and chicken meat. Your Shih Tzu will also experience the benefits of omega fatty acids that this food provides. 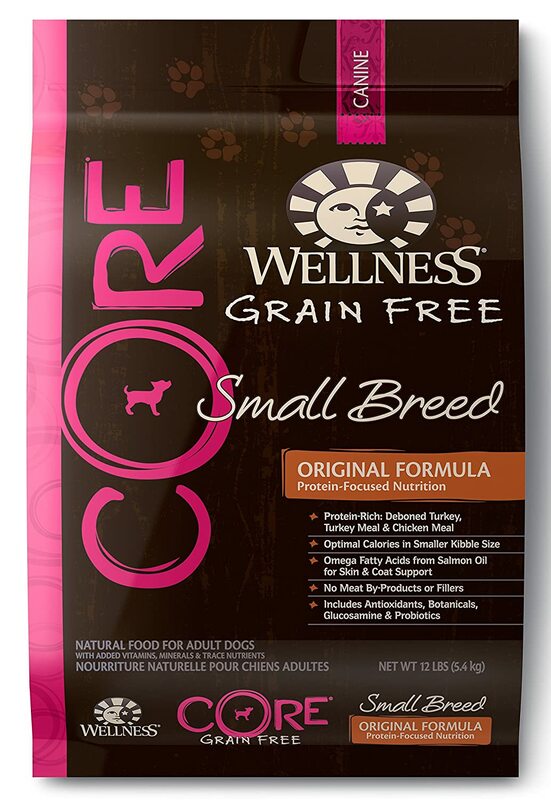 There are no artificial additives to this dog food, and it is also free from corn, wheat and wheat gluten. This dry dog food is available in a variety of sizes, from 4 lbs. to 30 lbs. It is specially made for small breed dogs, so it’s great for your Shih Tzu. It has no artificial additives and the meat comes from natural and safe sources. It also contains fatty acids and antioxidants for other health benefits. The kibble is easy to chew so don’t worry about your picky eater not liking them. 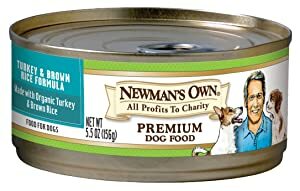 Features and Benefits: There are a lot of health benefits that come with this dog food. It will help your Shih Tzu will have radiant skin and coat, strong lean muscles, healthy immune system, sharp vision and a healthy heart. It has high levels of antioxidants apart from the fact that its all-natural recipe is strictly protein rich meat first. 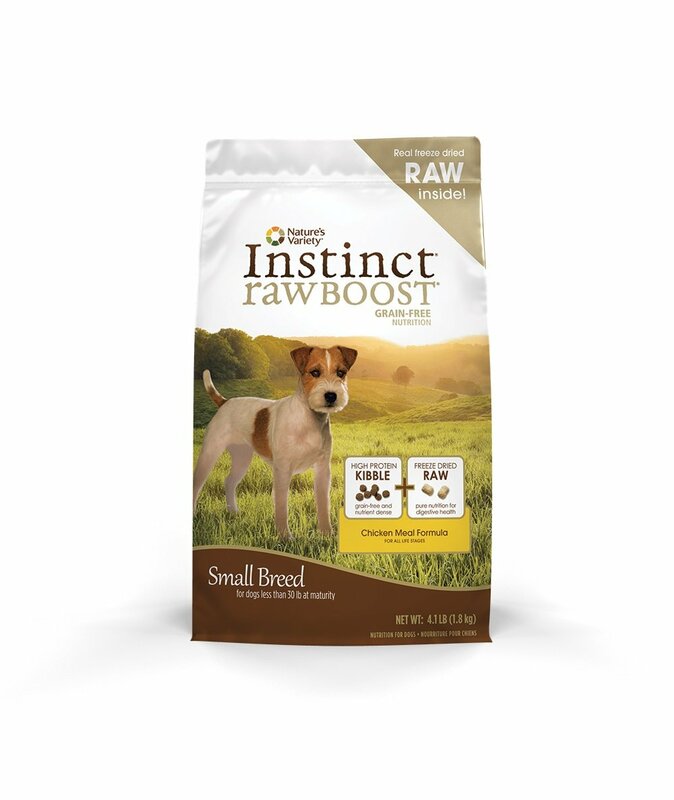 This product takes pride in providing perfectly tailored nutrition for small breed dogs. It is specially formulated to meet the dietary needs of your dog as would be provided in a natural setting. The pure and wholesome raw pieces are freeze dried and give your dog the same dietary nutrition as its ancestors. The kibble is small, perfect for your Shih Tzu’s small mouth. Features and Benefits: This product is high in protein and is free from grains and gluten. 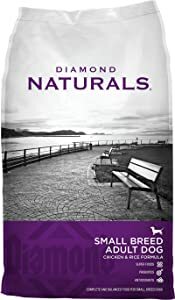 It consists of freeze dried raw coated kibble as well as freeze dried raw pieces which taste great and nutritionally rich and balanced for your dog’s wellness. It is made from all natural ingredients and has no artificial additives. Your Shih Tzu will also enjoy the benefits of healthy omega fatty acids, probiotics, and antioxidants for a great coat, digestion, and overall health. Choose between 4, 12, or 26 pound bags for this dog food specially made for small breed dogs. It is made in the USA, and is all-natural. His dog food is also grain and animal by-products free and provides a balanced nutrition for your Shih Tzu, formulated to meet the high energy needs of small breed dogs. 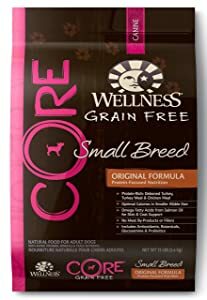 The core of this dog food is to provide your dog with long-term well-being, and ensures that their products are safe, pure, and balanced. Features and Benefits: Wellness CORE helps promote intestinal wellness with its probiotics, prebiotics, and fiber content. Also included are essential vitamins and minerals, as well as fatty acids, and antioxidants for immunity, a shiny coat, and overall nutrition. High protein content will give your shih tzu with leaner muscle mass and will help burn off extra fats and calories. Your dog’s energy will be well provided for by the high quality carbohydrates in this dog food. 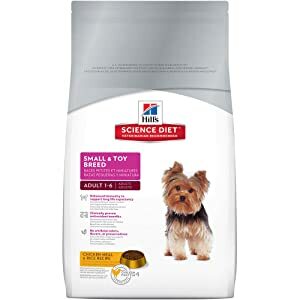 You can choose between 2.5 pound or 10 pound bags for this Shih Tzu adult dog food. Royal Canin is dedicated to formulating their dog foods specific to different breeds of pets and takes into account that breed’s lifestyle, nutritional needs, and even tendency to develop health issues to create food that will address these concerns. Their breed formulas are made with your dog’s breed in mind, and the existence of a breed formula means that this certain dog breed needs it. Features and Benefits: The specialized kibbles of this dry dog food help reduce plaque and tartar from your dog’s teeth, and are also made to make it easier for your shih tzu’s mouth to grasp. It also has nutrients to help protect the long and fragile coat of shih tzus. Don’t worry about your dog being a picky eater, because the intense flavor and aroma of this dog food will entice your Shih Tzu to eat it. Newman’s Own Organics offer great tasting organic products. You can be assured that you’re feeding your dog that is all-natural, with no artificial additives. 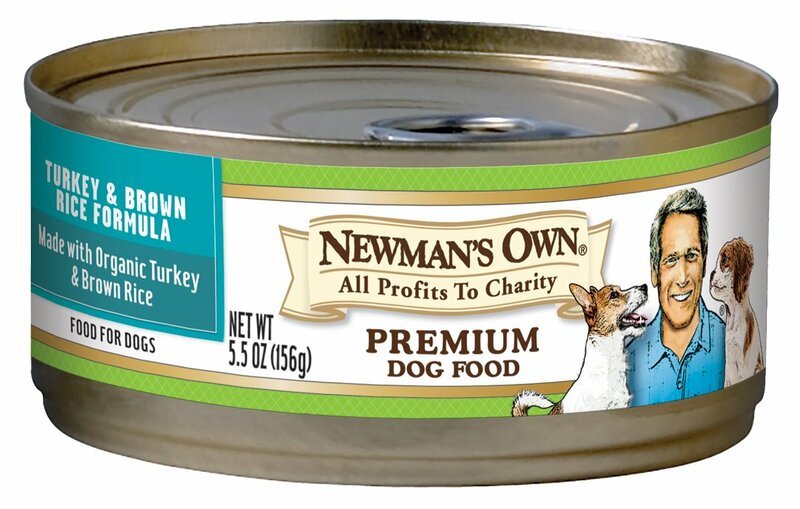 Organic meat like chicken or turkey is always the primary ingredient for Newman’s dog food. Not only that, this dog food is also guaranteed to be wheat and corn free. Choose between packs of 12 of 5.5 oz. or 12.7oz., and from four flavors: Chicken, Chicken & Brown Rice, Turkey & Brown Rice, and Turkey & Chicken. Features and Benefits: This dog food is ideal if you want to maintain your dog’s ideal weight. It also provides long lasting energy for your Shih Tzu’s active lifestyle. The formula of this dog food meets the standards of the AAFCO (Association of American Feed Control Officials) Nutrient Profiles, and is ideal for dogs in all life stages. 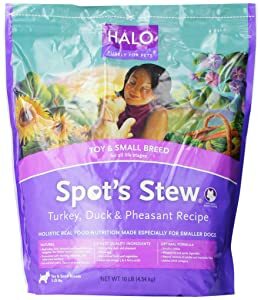 This dog food comes from a brand you can trust and contains no meat by-products and is perfectly safe to feed your Shih Tzu with. 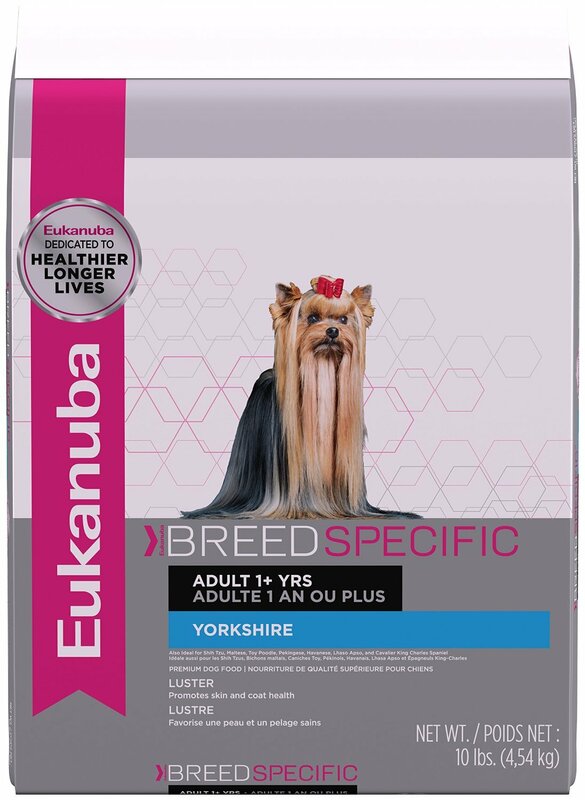 Eukanuba dog foods offer specially formulated nutrition specific to your dog breed’s dietary needs. It is made from high quality animal proteins and has a fiber blend to help your dog’s digestion and nutrient absorption out. You can choose between 3, 10, or 30 lbs. of bag sizes. 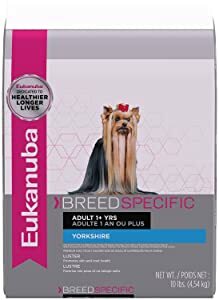 This one is formulated for Yorkshire terriers, but it is also ideal for Shih Tzus and other small breeds. Features and Benefits: Within 28 days, your dog’s tartar build up will be reduced with the 3D DENTADEFENSE System. 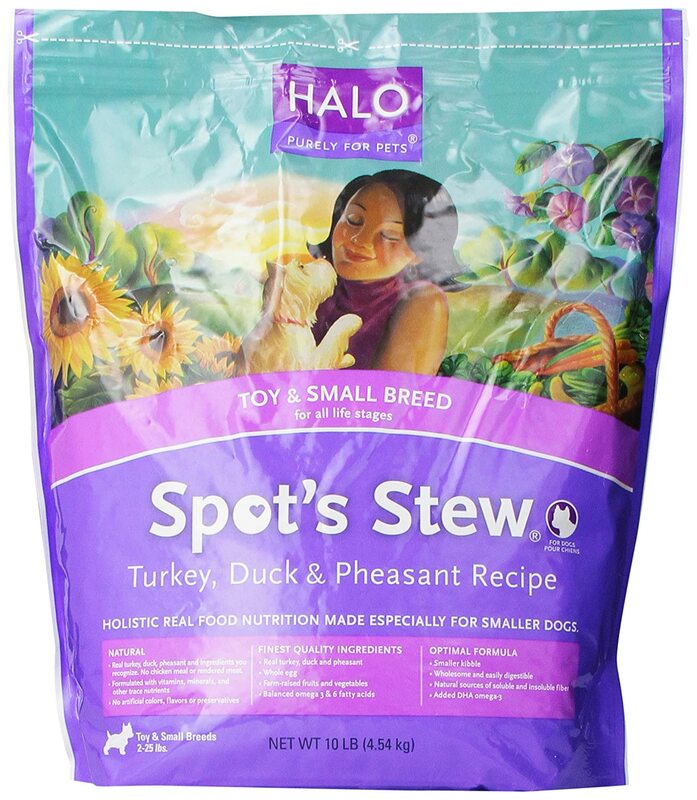 Chicken is the primary ingredient in this dog food, and has a specialized fiber system from natural beet pulp and prebiotic FOS. The special formulation also includes zinc, copper, and omega fatty acids to help your dog’s skin and coat health. This dry dog food is available in a variety of flavors for small breed dogs in all life stages, from puppy to adults from 7 years and above, to 11 years and more. You can also choose between chicken meal & rice, as well as lamb meal & rice. Choose between 4.5 lbs. and 15.5 lbs. This is made from wholesome ingredients and has precise nutrition for your Shih Tzu. Features and Benefits: Your dog will enjoy better health because of the enhanced immunity that this dog food provides. It is made from all natural ingredients, along with vitamins, minerals, and amino acids. It also has antioxidant benefits for your dog’s health and well-being. There are also no artificial additives so you can be sure that your dog is only getting nutrition from natural sources. 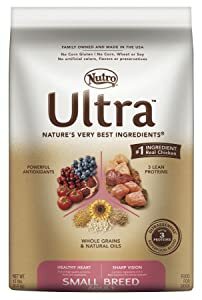 This dog food is made by the same manufacturers as the previous one, and offers the same amount of nutrition and made from the same wholesome, high quality ingredients. Choose between three flavors: beef, chicken & barley, and light with liver, whose primary ingredients are real chicken, lamb, or salmon. This wet food is recommended by vets more than other brands. Features and Benefits: Your dog will have good maintenance for lean muscles with the protein sources in this wet dog food. This wet food is made so that it is easy for your Shih Tzu to digest. You can easily transition your dog to the other Science Diet products made for older pets within a week or so. What Are The Best Ingredients for Your Shih Tzu’s Food? You would want to look for a dog food that is low in carbohydrates, because Shih Tzus are prone to becoming obese. Take note that it should just have low carb content and not a total lack because your dog still needs carbs for a well-balanced diet. In order to maintain your dog’s ideal weight without having to sacrifice carbohydrates, your best choice would be to get dog food with high protein and low carb ratio. Good protein sources are chicken, chicken meal, turkey, turkey meal, and eggs. Proteins will help your dog get leaner muscles and will also do wonders for your pet’s coat. Some dog foods provide lean meat products as their primary ingredients and you should opt for those ones instead of those whose primary ingredients are something you would be skeptical about. Regarding carbohydrates, make sure to get food that makes use of healthy complex sources of carbs rather than simple, processed carbohydrates. In general, it’s best to avoid any wheat and grain ingredients in your dog food, as it can also be cause of allergies. Besides, dogs are by nature carnivorous and wouldn’t be able to digest wheat and wheat y-product ingredients well. This means you shouldn’t get dog food made from corn and soy. Instead, choose ones with sweet potatoes, rice, oats and barley as carbohydrate sources. Raisins and Grapes: These might be healthy for us humans, but they are definitely not safe to feed your dog. Feeding your dog just a small amount of these can cause kidney damage and are especially more dangerous for small breeds like Shih Tzu's. Be careful when leaving this around your home as your dog might accidentally eat them. Chocolate: This is a pretty well-known one. Chocolate is toxic to dogs, especially to small breeds and can cause seizures, coma, and even worse, death. Onions: Onions can destroy a dog’s red blood cell, so be careful not to accidentally feed your dog anything with onions in it. Coffee, Tea, and Soda: Basically anything with caffeine. Caffeine has similar effects to chocolates and can put your dog in serious danger. Salt: This is okay in small portions, but too much salt can give your dog kidney stones that will be painful and dangerous for it. Macadamia Nuts: Keep the expensive nuts to yourself, as dogs who ingest this nut can get muscle tremors and paralysis. It’s best to keep it out of your dog’s reach if you don’t want to put your dog in danger. Fruit pits and seeds: This covers all kinds of fruit pits and seeds. Your dog will have difficulty breathing and/or fluids will fill up your pet’s abdomen and heart. It can be extreme enough to kill your dog within 24 hours. Your Shih Tzu needs to have a good balance of three main nutrients: protein, fat, and carbohydrates. Protein helps build your dog’s muscle and tissues. Fats provide support for your dog’s brain, immunity, skin/coat and are also a source of energy. Carbohydrates give dietary fiber that will support your dog’s digestive system along with providing some vitamins and minerals. Proteins are the most important out of all three, because dogs are largely carnivorous and would benefit the most from this. But did you know that protein can come from both plant and animal sources? Do note though that dogs can mostly process meat based protein better than plant based ones, so preferably, you should look into food that has meat based protein sources. Fat is the second most important nutrient for your Shih Tzu as it is the most concentrated source of energy for a dog. Similar to protein, the fats in your dog’s food should come from meat based sources. Plant fat can be used to balance out the fatty acid contents of food as well. Fats can also help your dog utilize fat soluble vitamins better. Lastly, there are carbohydrates and supplements. Because of your dog’s carnivorous nature, you should get carb sources from whole grains, starchy vegetables, beans, or legumes. As for supplements, vitamins and minerals will help balance out your dog’s diet and are best if they come from fresh fruits and vegetables. Chelated minerals are also a good addition as your dog’s body can easily absorb them. 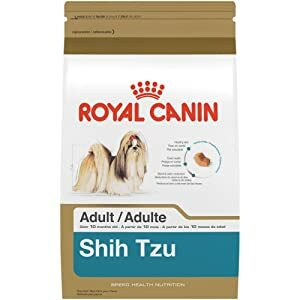 Our top recommendation would be the Royal Canin Shih Tzu Adult Dry Dog Food, because it is the only one on this list that is especially formulated with Shih Tzus specifically in mind. While the other brands are great in their own right, it’s great to come across a brand that has taken the Shih Tzu dog’s breed in specific consideration for their dog food formula. Your Shih Tzu’s coat will be well taken cared off and the kibble of this dog food brand is also specially made for your Shih Tzu’s tiny mouth to grasp better. Belgian Malinois vs German Shepherd - What's the Difference?